Clare Balding hosts the topical faith show and speaks to artist, Maggi Hambling about her latest exhibition, War Requiem & Aftermath. 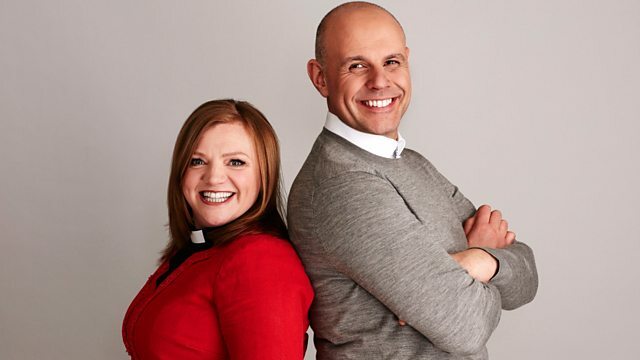 Clare's faith guest is the the Dean of Leicester, the Very Revd David Monteith. Moment of Reflection with the Very Reverend David Monteith. The Soul Years 1975 (Disc 1). Eurovision Song Contest Copenhagen 2014. Maggi Hambling OBE is a painter and sculptor who has had a long and sometimes controversial career. Her latest exhibition, 'War Requiem & Aftermath' deals with the theme of casualties of war. The exhibition runs until 31st May at Somerset House. Actor and artist, James Burke-Dunsmore will be playing the role of Jesus in a full scale re-enactment of The Passion Story in the iconic setting of Trafalgar Square on Good Friday. David Monteith was installed as Dean of Leicester in May 2013, and has had the lead role in the Diocese for interring the remains of Richard III in Leicester Cathedral. The ceremony took place on 26th March 2015.